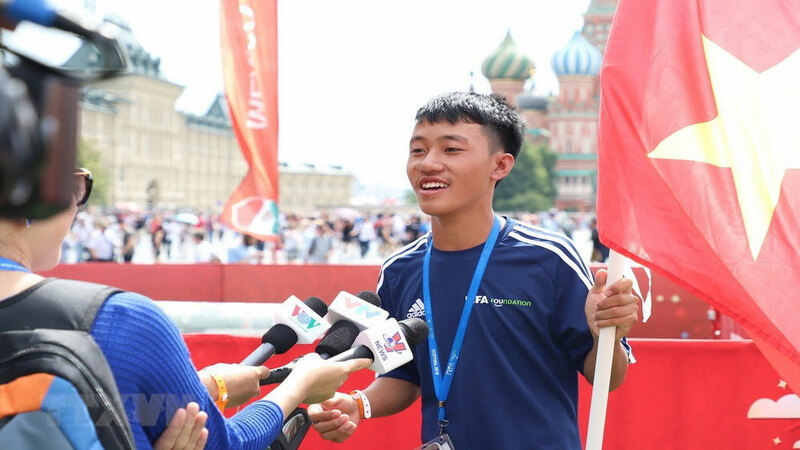 Vietnamese kids on June 30 joined the “Football for Hope” festival which is an official event of the FIFA World Cup 2018 in Russia. Ha Danh Du, a member from the Vietnamese football team, answers reporters' queries (Photo: VNA). 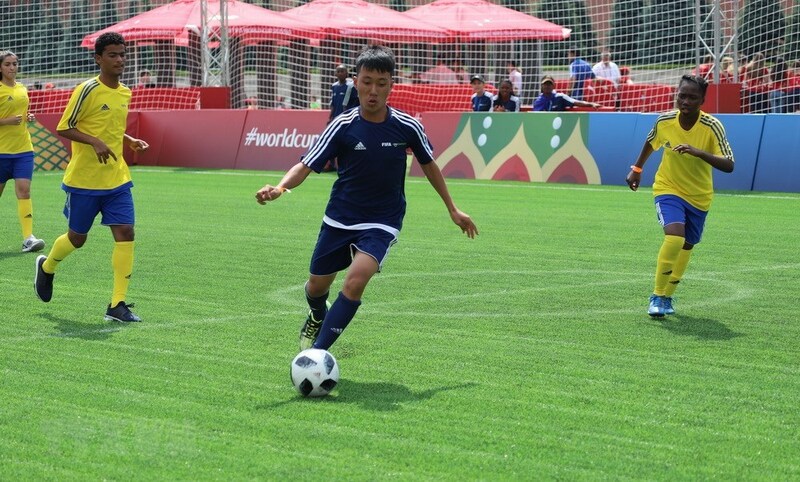 Ha Danh Du plays in a match of the event. 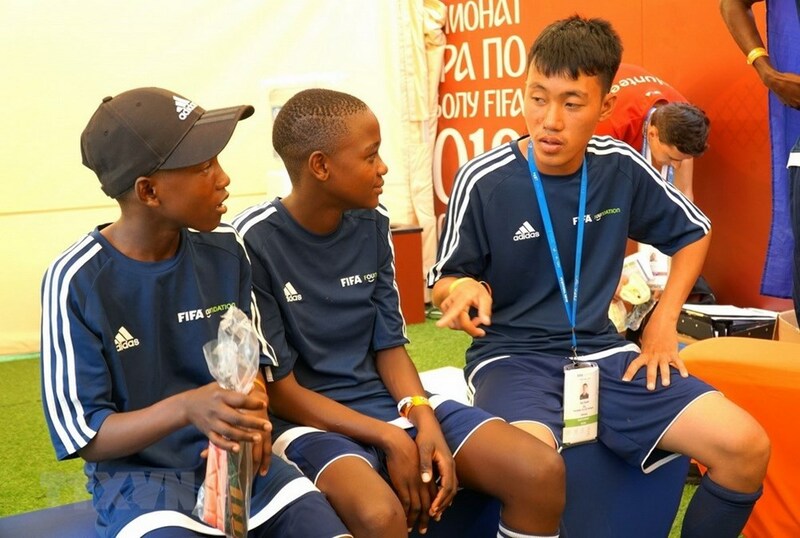 Ha Danh Du (first from right) and his peers exchange before the match (Photo: VNA). 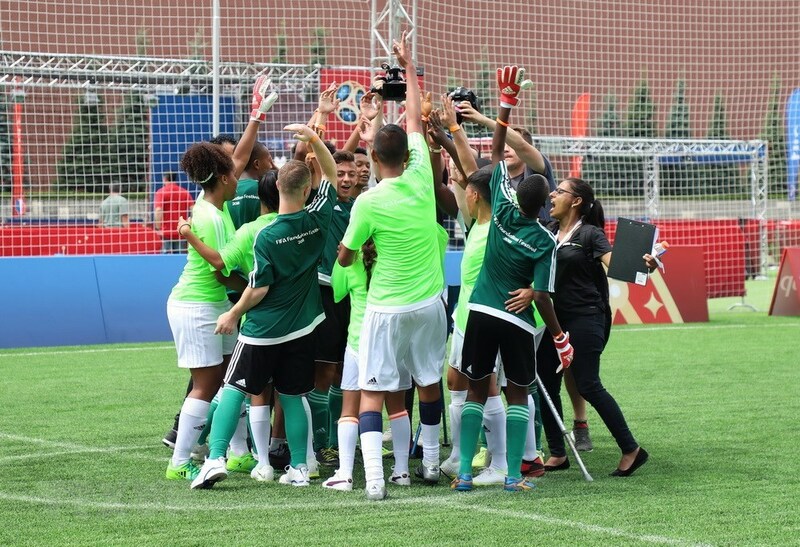 Players show solidarity before the match (Photo: VNA). The festival creates a good chance for participants to make new friends (Photo: VNA).